Kipper is now twenty six months. At this age with Monkey we started taking him to the theatre. Its still one of his favourite outings. However with Kipper we hadn’t given it much thought. Until now. So we have arranged our own little trip to the theatre to see a show which is specifically aimed at preschoolers. Bing Live. 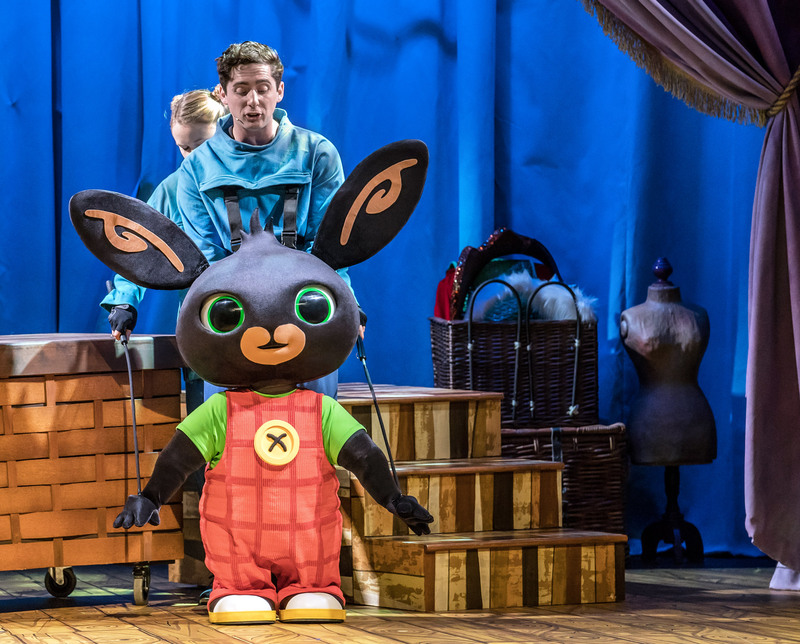 Not only will it be a first for Kipper but it will also be a first for Bing who will be centre stage for his first ever stage show. The fifty venue tour kicked off in St Albans on the 20th of June and will be running for twenty five weeks. There are theatres all over the country which means there is bound to be one near you. Join Bing, Sula, Coco and Panda as they learn how to tell stories by pretending, dressing up and singing songs. 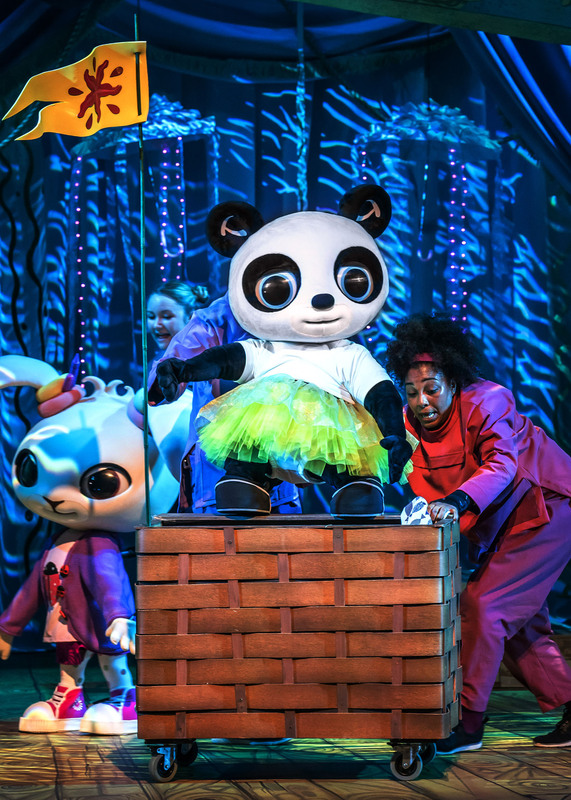 Flop and Amma are there to help but the magical world of make believe things don’t always go according to plan… The show is full of fun, laughter, music and magical puppetry. Going to the theatre…its a Bing thing! 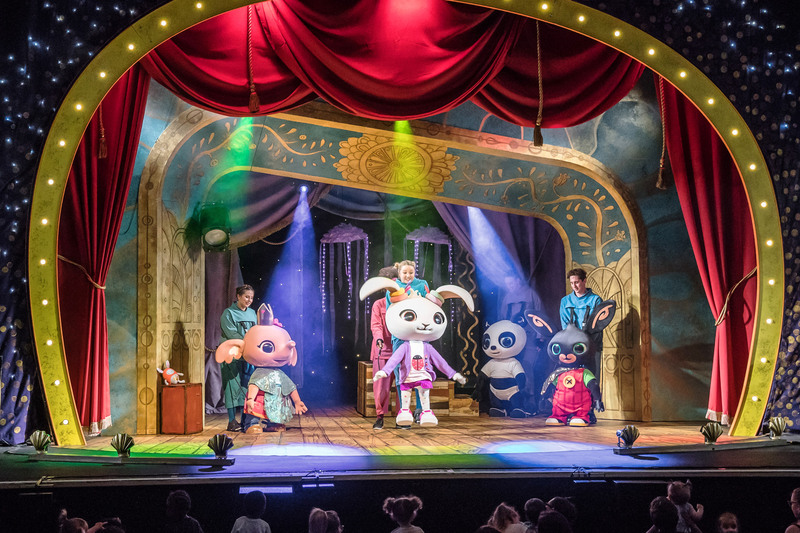 Bing Live is produced by Minor Entertainment (In the Night Garden Live) and directed by Will Tuckett, guest principal character of the Royal Ballet. Whose production of Wind in the Willows won an Olivier Award for Best Entertainment in 2014. Since its launch on CBeebies, Bing has been a huge ratings hit and is the number one preschool show on BBC iPlayer. Celebrating the joyful, messy, reality of preschool life, Bing finds the big stories in the smallest moments that little ones and the grown-ups in their lives will recognise. Whether its dropping your ice-cream or losing you favourite toy. 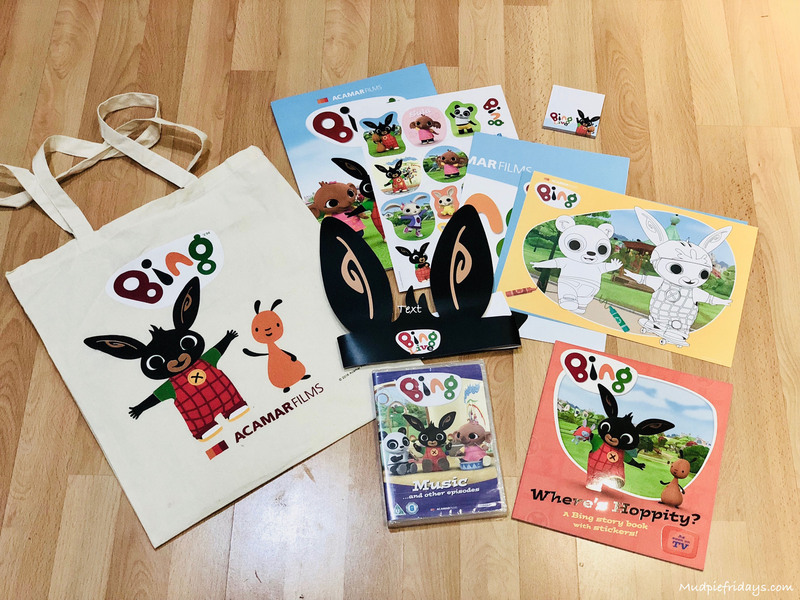 The Series has won an International Emmy Awards in the Kids’ Pre-School category in 2016, a Writer’s Guild Award and a BAFTA nomination for the Best Pre-School Series. The animated series, which say Mark Rylance make his children’s television debut voicing Flop, is produced by Acamar Films. If you have a little one who would love to see the show then you can find out more on their website. I also have a very special treat for all fans. I have been gifted two goodie bags which I am giving away to my followers. If you would like to be in with a chance of wining then please enter via the Gleam application below and please note the T&Cs. Two winners will be drawn at random and will each receive a Bing Goodie Bag as pictured. I used to love watching Bing with my nephew when I looked after him on a Thursday…..how lovely to see it live ? I was thinking of taking my youngest to see Bing live, she’s nearly two years old. Did Kipper enjoy it and was he able to sit through the whole thing? I’m thinking I might have to take plenty of snacks to keep her occupied! We all love Bing too! I love Bing – looked good fun! Thank you so much for running these lovely competitions. I love your blog. Bing is fabulous. I didn’t realise there was a show. The children still love Bing products even though they are growing up. Oh wow! You are very brave taking your 2 year old to a theatre. I waited until mine were 5 and older as they’re all fidget bottoms especially our youngest who has ASD among other issues. I didn’t realise BING did a show but think it’s lovely how the theatres are now catering for younger audiences as well as older ones.